Ole Gunnar Solskjaer reportedly looks closer to landing himself the permanent Manchester United manager’s job after the 3-0 win over Fulham. The Norwegian tactician has been a revelation since taking over United as caretaker boss in December, having massively lifted the performance levels and morale of a side that looked lost under Jose Mourinho. 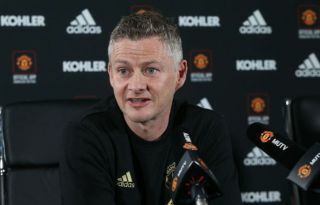 Solskjaer’s prospects of making his position at United a permanent one seem to improve with every game, and the Mirror claim his agent met with Avram Glazer and Ed Woodward after the game against Fulham. The report also states Glazer entered the Red Devils dressing room after the victory at Craven Cottage, though Solskjaer did not want to reveal too much about what was said. ‘Well I’ve just spoken to him (Glazer) outside,’ he is quoted by the Mirror. ‘He came into the dressing room. Of course they’re all happy after winning the game. Solskjaer’s only previous stint managing in the Premier League was with Cardiff City back in the 2013/14 season – a spell that did not go particularly well. Aside from that, the 45-year-old has had some success in his native Norway with Molde, but his sudden emergence as a leading coach at MUFC has been quite a surprise. If Solskjaer does now get the job he’ll be beating plenty of big names to the post who’ve been linked with it in recent months.